A celebration of our rich cultural heritage, local produce and links to the sea.  We look forward to welcoming you to Lymington Seafood Festival in August 2019! We’ve scoured the New Forest and south coast for some of the most exciting and innovative artisan food and drink producers who’ll be cooking up around 300 different delicacies across the weekend. The Festival will also host some of the coolest bands and artists and you’ll be able to quench your thirst with craft beers thanks to our main sponsor Ringwood Brewery, sip award winning English sparkling wines from Exton Park or relax with a gin and tonic from Conker Spirit. There’s also a brilliantly talented line up of chefs in our demonstration kitchen. Each year the event raises money for a different charity and we’re delighted to be supporting The Lymington RNLI for 2019. As a vital part of our coastal community the volunteer Lifeboat crews provide a 24 hour rescue service. RNLI crews have saved over 140,000 lives since they started in 1824 but they are much more than a rescue service. The RNLI works to influence, supervise and educate people through Community Safety teams who provide critical water safety information We’ll have a fantastic range of raffle prizes all provided from our sponsors or stallholders, so given the event is free to enter, dig a bit deeper and help change someone’s life. Even just for a day. One last thing. Parking. Our beautiful Georgian market town isn’t blessed with thousands of spaces, but our friends at Lymington Council have let us use Woodside Park. It holds around 800 vehicles and is £5 for the whole day. See here for more information. On behalf of everyone involved in putting on the Festival, to the chefs, the producers and bands. Have a great time…….and may the sun shine! Two days of fishy fun, delicious food and drink stalls from local artisan producers. With demonstration kitchens to feed your culinary curiosity, a special area for little ones, plus our live music stage to keep the party going. Full details to follow. Bring a picnic rug, or find a haybale or deck chair. Sit back and relax with great food and drink whilst foot tapping along to some of finest local bands and artists. Led by the FB Pocket Orchestra, we’ll entertain you with jazz, blues, folk, soul, ska and even a few sea shanties! See who’s performing. From delicious seafood with tastes from across the region, meaty feasts or something yummy for vegetarians there's something for everyone. We’re delighted to be joined by some of the best restaurants and producers from across the region ensuring you and the family won’t be going home hungry. Every year the Lymington Seafood Festival will raise money and awareness for a different charity and we’re delighted to be supporting the Lymington RNLI for 2019. As a vital part of our coastal community the volunteer Lifeboat crews provide a 24 hour rescue service. The event is organised by Lighthouse Marketing, a Lymington based agency. 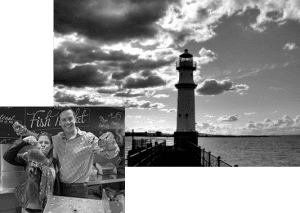 With over 42 years marketing, event, sponsorship and sales experience, Lighthouse works with a range of regional, national and international businesses from a number of industry sectors. They provide a complete ‘full service’ marketing offering, specialising in delivering creative, effective and measurable communications campaigns for brands with an appetite to reach more customers and increase sales.